Ever since its discovery 5,000 years ago, gold has been treasured for its unmatched luster, beauty and intrinsic value. Today, gold continues to enjoy widespread appeal as an investment and storehouse of value. 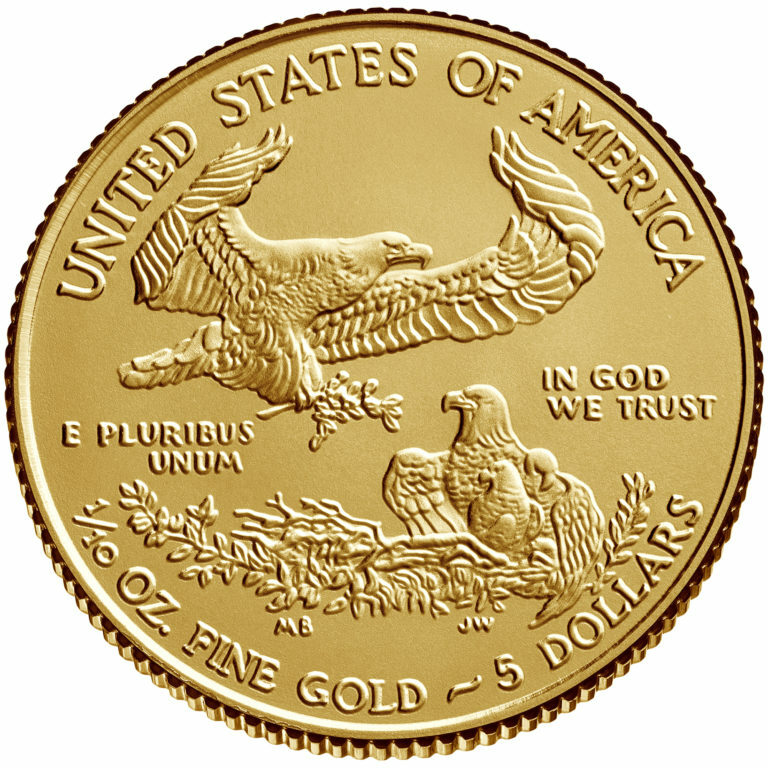 Gold is an internationally recognized monetary and financial asset held in reserve by major governments. It is so rare that all the gold ever mined could fit into a cube measuring just 20 yards on each side. Most importantly, gold can play a role in diversifying an investment portfolio, since it can move independently of stocks and bonds. What’s more, gold is a tangible asset – one whose beauty and artistry you can literally hold in your hands. 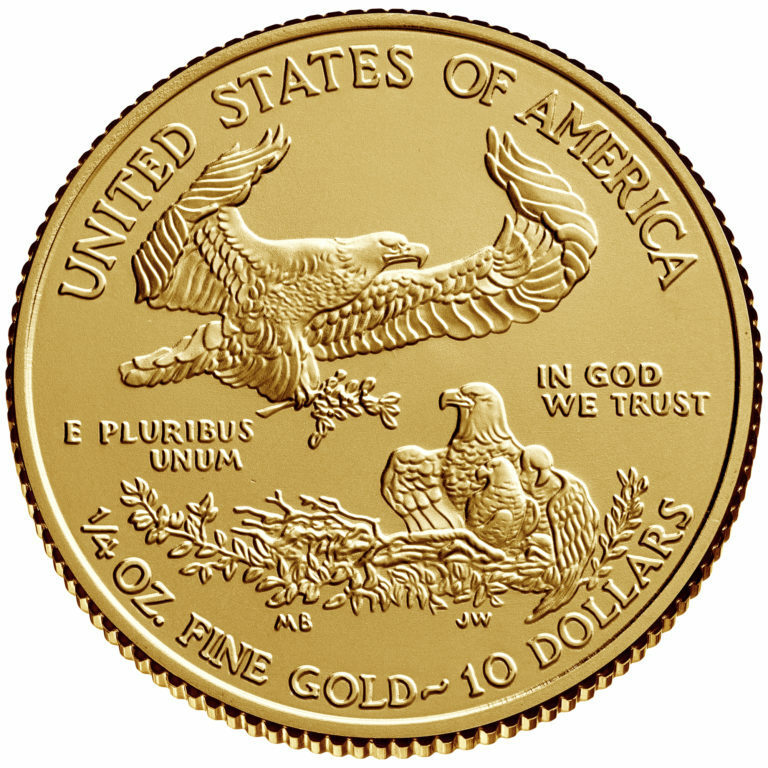 When purchased in the form of legal tender bullion coins, gold can be affordable, as well as easy to buy and store. 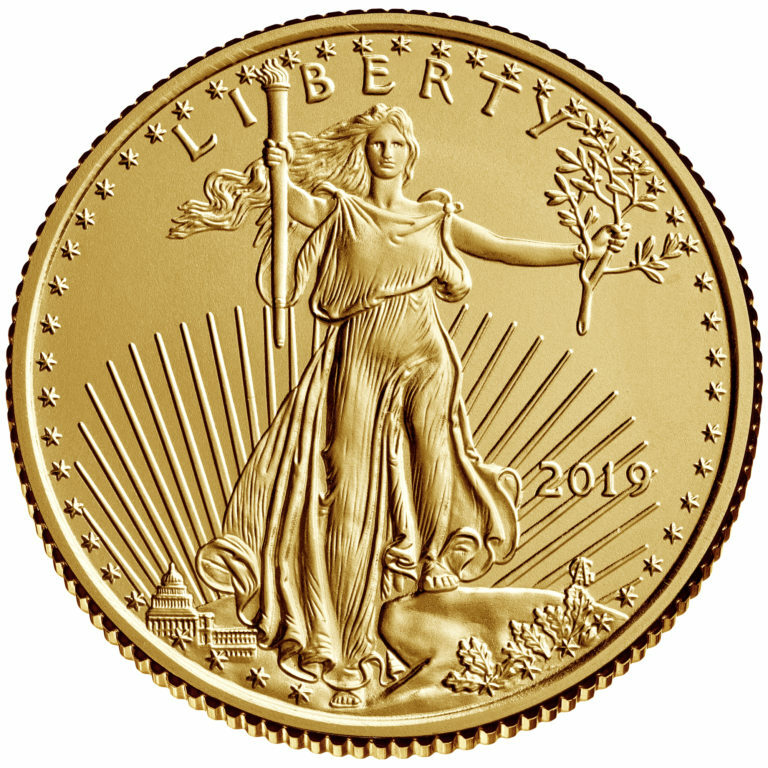 Americans purchase more American Eagle Gold Bullion Coins than any other gold coin. 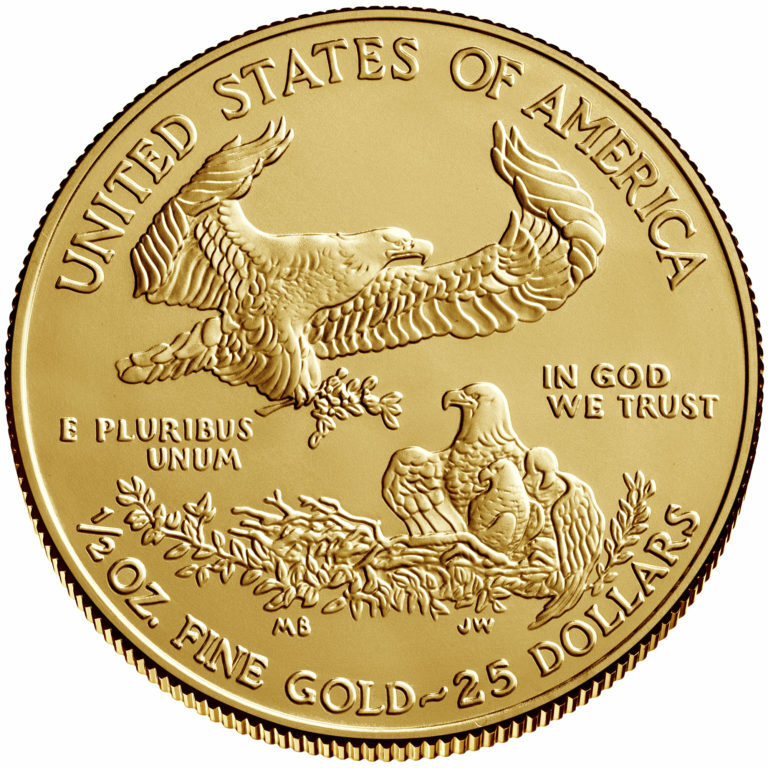 Produced by the United States Mint, Department of the Treasury, these coins are available in four denominations. 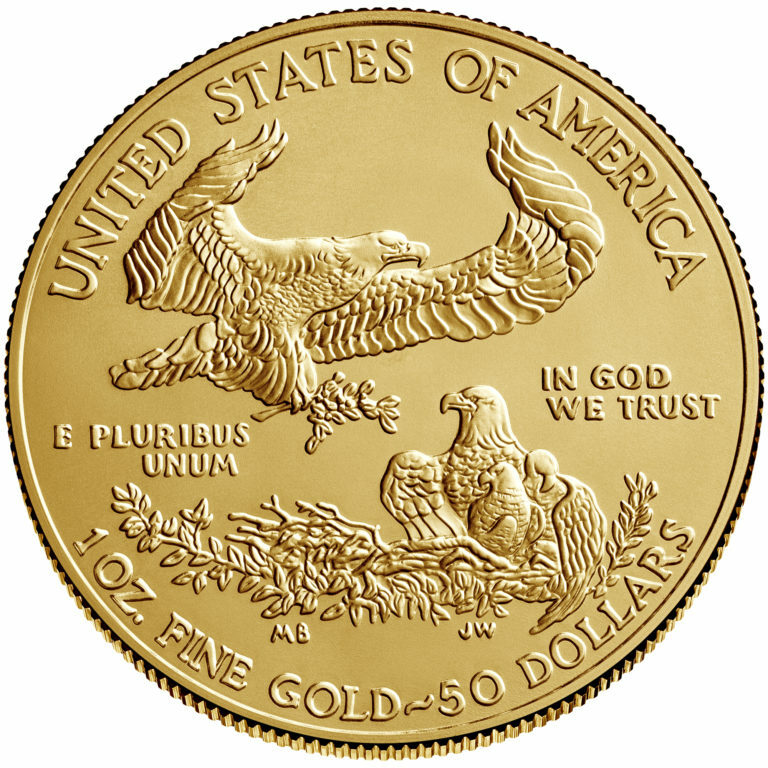 It’s easy to track the value of American Eagle Bullion Coins. Most major newspapers report the daily price of gold. 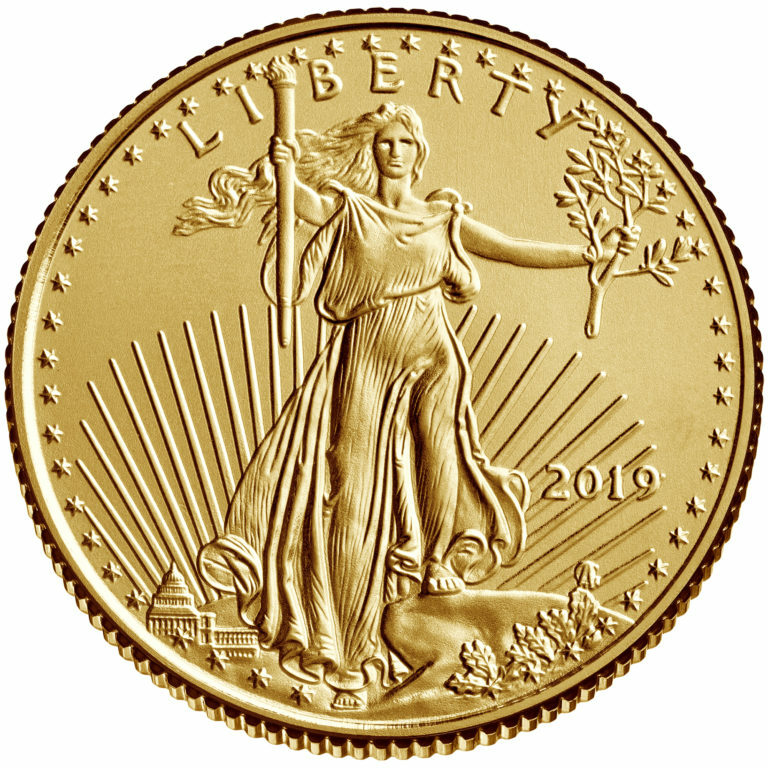 An American Eagle’s value is based on the market price of its metal content, plus a small premium to cover coinage and distribution costs. 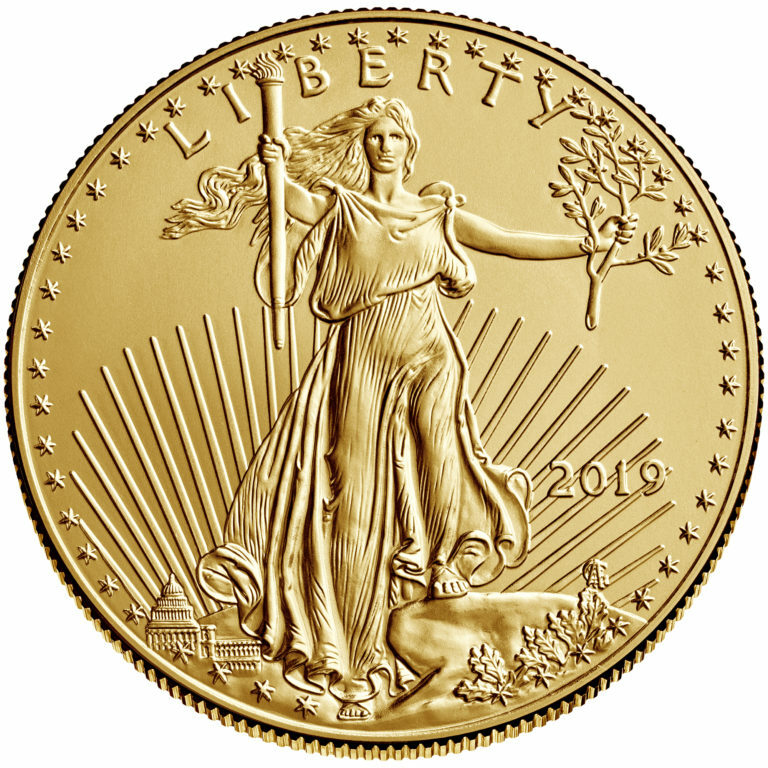 You can purchase American Eagle Gold Bullion Coins from most major coin and precious metals dealers, as well as brokerage houses and participating banks. Locate an authorized dealer. They are minted in four weights – 1/10, 1/4, 1/2 and 1 ounce – to fit a variety of budgets. The smaller sizes also make affordable and thoughtful gifts. 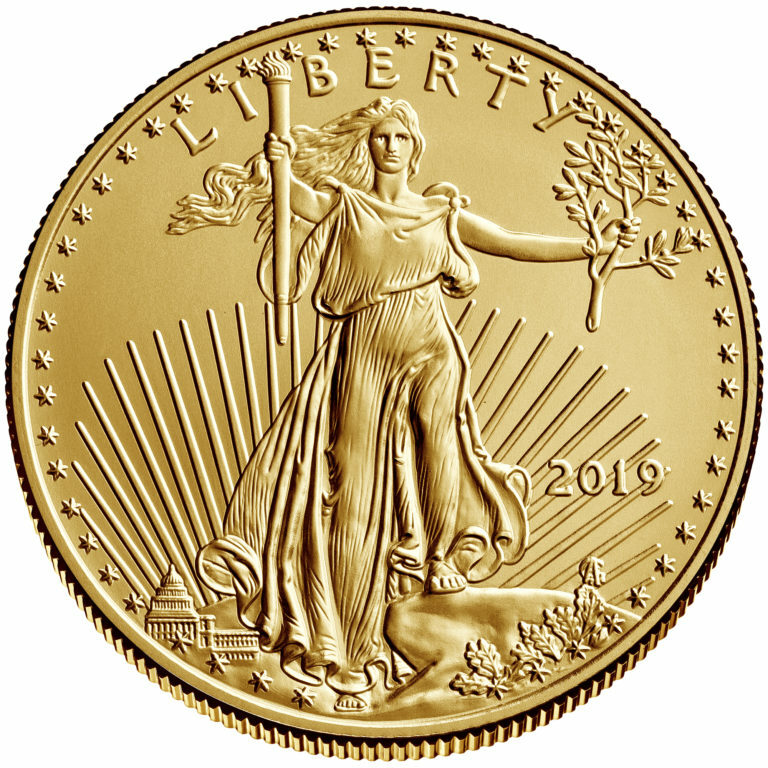 Minted to exacting standards, the obverse (front) design is inspired by what's often considered one of America's most beautiful coins: Augustus Saint-Gaudens' celebrated $20 gold piece, minted from 1907-1933. The reverse design, by sculptor Miley Busiek, features a male eagle carrying an olive branch flying above a nest containing a female eagle and her hatchlings.